Illuminating the Void. 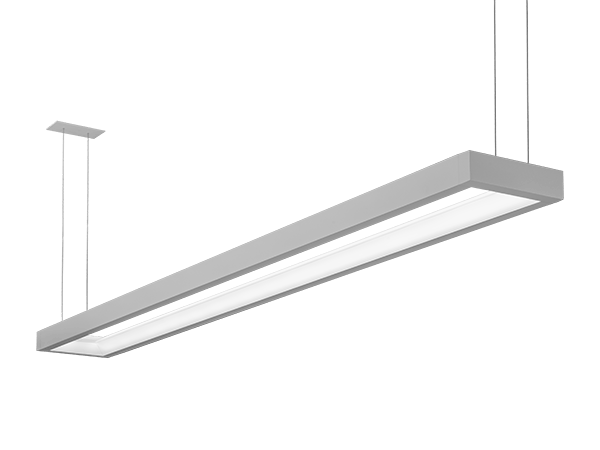 Inspired by the visual void design philosophy, this unique luminaire balances the relationship between solid and void while harmoniously blending light into the architectural surrounding. Eliminates the visual clutter of power cords by delivering low-voltage power through suspension cables. 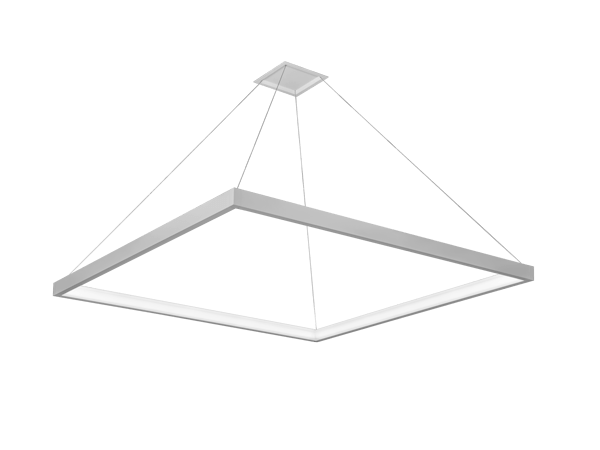 Designed to create the ideal direct and indirect distribution with ceiling uniformity and shadow-free illumination. Seamless mitered corners create a one-piece visual flow with continuous illumination.